The foremost limiting factors according to industry professionals and issues faced by ISPs in after-sales. 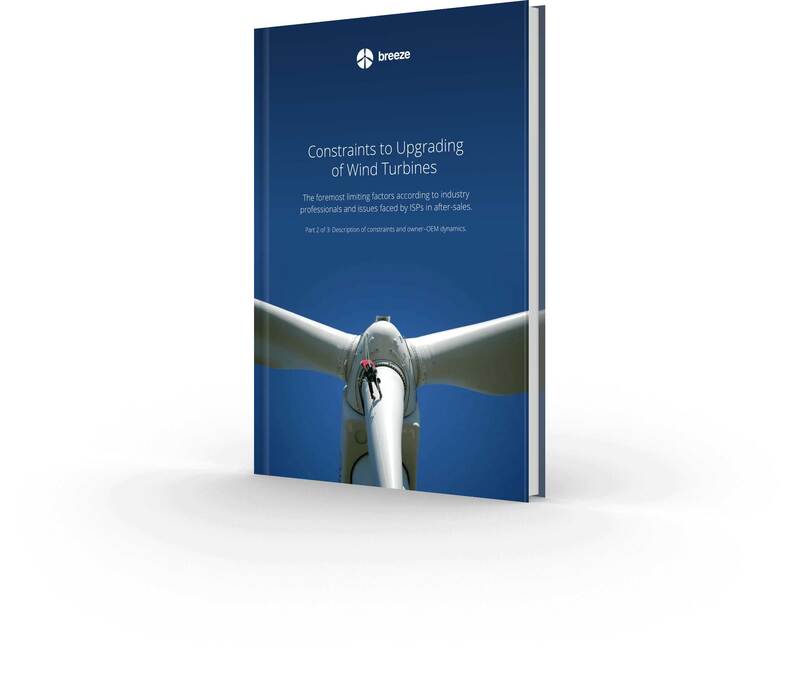 Volume 2 of our ebook series presents the principal constraints imposed on upgrades of operational wind farms, along with the foremost limiting factors according to industry professionals and issues in the after-sales market that surfaced during the interview process. The constraints presented in this study concerns performance related upgrades for operational wind turbines – software improvements, optimizations component retrofits, and installations of new equipment. For a proposed upgrade to be implemented in a wind farm, there are stakeholders that must agree to the upgrade. The margins on turbine sales are tight, and many manufacturers have set their hopes on the O&M and after-sales markets, in which margins are significantly better. However in recent years OEMs have lost ground on the wind farm O&M market, as independent service providers are offering alternatives for the owners. Key constraints experienced by people in the industry were assembled from actors involved in operational wind farms: OEMs and ISPs, small and large-scale owner groups, consultancies, and third party product providers. Interviewees were all asked what they considered to be the foremost limiting factor for upgrading wind turbines. With more turbines comes more data. Collecting, managing and analyzing data are challenges for owners and operators with expanding, diverse portfolios. Created specifically for the wind energy industry, Breeze is a modern wind farm management system used by active owners and operators to increase energy production.